In a sign of the times, CCH iFirm is adding connections to other vendors’ accounting software in a bid to improve efficiency for accounting firms. While accounting software for SMEs has long used API connections to integrate with hundreds of other business apps, practice software has tended to stay within its walled garden. Xero and then Intuit were the first to open up their free practice management tools to third-party apps for notifications. But both tools are only suitable for very small firms. In Australia, iFirm is the cloud suite with the most potential to fit firms with hundreds of employees. It’s a great move by Wolters Kluwer and one that couldn’t have come at a better time. The dramatic statements revealed during MYOB’s aborted acquisition of Reckon APS showed that the two companies are years away from developing a full-blown cloud practice suite. CCH iFirm, made by Wolters Kluwer, positions itself as next-in-line for the throne. It includes an online tax module, which neither MYOB nor Reckon have matched. However, iFirm has lacked a major drawcard – a tightly integrated, cloud accounting app for SMEs. Xero’s rapid accumulation of market share has encouraged firms to consider the free Xero Practice Manager before iFirm. The software company could capitalise on this winning streak by expanding its practice tools to firms of all sizes – but it’s not interested. Xero stated to the Australian Competition and Consumer Commission that it didn’t want to invest in making software for firms with more than 20 staff. There are two interesting aspects to this development. How deeply is Xero prepared to integrate with iFirm? Initially the connection is just to Xero Tax; will it eventually connect client files to another vendor’s practice suite? And then there’s the Microsoft Power BI integration. 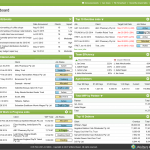 What exactly can you do with a BI tool when it is natively integrated with your practice software? In this edited transcript, Russell Evans (CEO of Wolters Kluwer Asia Pacific) and Daniel Wyner (regional director) give a frank assessment of the market and where they intend to take integrations for iFirm. Russell Evans: What we’re hearing from particularly small and medium sized firms is that they’re looking for real efficiency gains in workflow. Let’s assume (firms are) moving toward fixed price engagements, if you’re only getting two and a half thousand for a job that you used to get 4000 for, that’s all about hours on the job. Now, given that Xero have captured a good slice of the market in the small and medium firms with their tax product, it makes sense for us to support our clients who want end-to-end efficiency. Xero Ledger into Xero Tax and running the job on iFirm practice management. We’re just starting to do that now. Initial indications are it’s going to be a winner for the market and therefore good for us. Digital First: What exactly are you launching? Daniel Wyner: Effectively it is an API connection. 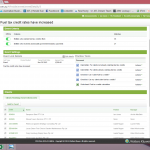 From within iFirm’s practice management screen, you will see the client database from Xero Tax. 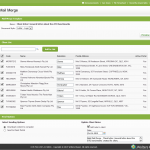 You can also launch that client’s tax return from within iFirm’s practice management screen. It will also show the relevant meta tax to say that a return has either been filed or lodged, signed, etc. You don’t want to be flicking between different products to see the status of what’s going on, so we’ve managed that workflow entirely within iFirm’s practice management solution. Digital First: That sounds great. Daniel Wyner: You can assign your staff to whoever needs to do the job, add all the necessary checklist programmes, procedures, jump out to Xero Tax and do your tax return by launching it from within CCH iFirm. That’s phase one. Phase two, which will come Q4 in Q1 next year, will be adding CCH iQ to Xero Tax. The myth that “I need to be with one provider” from the desktop days has been blown away. We want to facilitate whatever the practices want to do. Digital First: Will there be deep links from workflow screens in iFirm to the Xero client files themselves? Daniel Wyner: Just Xero tax. Digital First: Do you think you’ll get to a point where you have deep links to say, Xero, QBO, MYOB? If you click on the file and just open that client’s cloud files – is that the vision? Daniel Wyner: I think anything is possible. It comes down to us proving out that this is the right workflow and that value proposition. There’s no reason why we wouldn’t. Russell Evans: It also comes back to the use case. There’s a lot of collaboration at the moment between the accountant and the general ledger. Rather than waiting for the end of the year to do the adjustments in June or waiting for a tax trigger, accountants are using it on a monthly basis. When MYOB come to market with a cloud tax product, and accountants want an end to end MYOB ledger and MYOB Tax plugging into iFirm practice manager, if our clients start banging on the door and saying “We want to operate support in that open environment,” we’d absolutely be behind that as well. Digital First: What’s the reason for not pushing the Xero integration globally? Is that an internal decision as opposed to a technical one? Daniel Wyner: We’ve only focused our discussions with Xero locally and therefore it’s really been focused on the Australian market. Russell Evans: I think it’s also a maturity curve decision as well. Look at the proportion of small businesses that have made the shift into a cloud based accounting application. Australia and New Zealand are a long way ahead of other markets, so therefore the customers that we’ve been engaging with have been far more vocal about that desire to work in an open environment, to be able to plug in different applications for greater efficiency. Russell Evans: There is an intensity in our conversations (with firms). This is a kind of anecdotal number, 60% of accountants have a copy of the Australian master tax guide on their desk. Over the last six years we’ve had a very strong focus on digitising the master tax guide and getting it into the market and we’ve done that with CCH iKnow. Last year we plugged iKnow into Xero Tax. Our quest is really to provide accounting firms across the region with a digital experience. Plugging into providers like Xero makes sense for us because then we’re still relevant to accountants. Digital First: What were the engagement stats like for iKnow with Xero Tax? That integration has been out about a year? Daniel Wyner: I don’t know the numbers off the top of my head, but a significant number of firms have signed up to either a paid subscription or a premium offer. It’s well over the hundred mark. The next phase is making it far more actionable. That’s where IQ comes into the piece. Daniel Wyner: It’s in the hundreds, I just don’t know. Digital First: Okay. Enough proof to turn around and invest more in integrating CCH iFirm more closely with Xero. Are you intending to do that with any of the other products, like QuickBooks Online? Daniel Wyner: Yes. We’ve had conversations with multiple providers about where we could look at that. Say accountants (use iFirm and) run their books on Xero or QuickBooks. At the moment you can run (your firm on iFirm and use Xero for the firm’s accounts). That integration’s been there since well before we acquired iFirm because of the old days of Acclipse and Xero starting out together. Digital First: Clearly there’s overlap here between Xero Practice Manager and iFirm. What size firms are you targeting? Daniel Wyner: When you’re over five staff, firms have a willingness to spend a little bit more money because they know that it’ll be something a little more sophisticated. Up to that 50 user mark, the politics within a firm, the number of partners and so forth, it’s an easy decision making circle. They can drive the change management. Changing the practice management solution, which is at the heart of a firm, it’s no small undertaking at all. Our data historically have suggested firms stay on a solution for about eight to ten years because they don’t want to go through that change management. Digital First: I did hear some stability issues with iFirm over the past 12 months. I was wondering what the story was with that and if it’s been resolved. Russell Evans: Yes. So in July last year we moved from our own data centres into the Microsoft Azure environment. We did a huge amount of pre-planning around that and we thought we’d anticipated everything. But some part of the transition didn’t go according to plan and as a result some customers experienced latency issues and performance issues. We’ve thrown everything at that and we’ve now stabilised that platform. Russell Evans: And look, we’ve been very open with our customers. We’ve understood the frustration that’s caused to them. We’re past that now. Digital First: Why did you move to Azure? Daniel Wyner: It’s as much about scalability as different times of the year. In peak tax periods we have to scale the service up and down. We needed to have more of that flexibility Azure can give us. There are global Azure support teams that now manage “around the sun” everything that goes on on that platform. The relationships we have with Microsoft and to leverage that platform enables us to do some really great things for the client. Daniel Wyner: One of the things that we’re focusing on for the back half of this year would be really tight integration with Microsoft Power BI over practice management data. Now that we’re in the Azure environment we can leverage off their technology stack. Microsoft is spending millions of dollars on making that a great tool that allows you to plan utilisation. Why would we waste our time trying to compete with that? The biggest reason why bigger firms hold back (from moving to iFirm) is that they’re used to having the flexibility of slicing and dicing the data. If you look at the legacy platforms they’ve got that ability to pull their own reports. We haven’t gone down that path until now. We give firms the ability to export data as and when required, but with (Power BI they can) work out how they want to build their own dashboard. Digital First: When will this Power BI integration be ready? Daniel Wyner: Yes – that’s Power BI connecting to the practice management dataset, not to build it out for their clients’ data. Digital First: What can you do with it? Daniel Wyner: I can dig in to see the types of jobs that make me more profit, and the ability to manage workflow. The bigger firms are wanting to manage their staff more around KPI management. Power BI can give them a custom report about how they want to run their businesses. Digital First: What’s the largest firm on iFirm? Daniel Wyner: I think it’s about 160 users. Digital First: Okay. Would you go bigger than that? Daniel Wyner: At the moment, probably not. Daniel Wyner: The main reason would be that reporting. Russell Evans: The more complex firms need to slice and dice their performance by partner, by director, by manager, by team member across different lines of business. At the moment iFirm isn’t designed to do that. By Q4 we’ll be able to support that. Digital First: Will you launch a marketing campaign to sell iFirm to larger firms? Russell Evans: Yeah, and look, I think we’ll be very successful demonstrating tangible business benefits in the connection with Xero. Then if we see the opportunity to roll out the Microsoft BI platform with a really strong offering for those firms with 100 to 300 staff, there’s nothing to stop us moving to that space. Digital First: What other integrations are you working on with competitors? Daniel Wyner: Firms are saying to us CCH iQ’s great but to change their tax product is not a small undertaking, in particular for some of these bigger firms. So we’ve rolled out integration of the iQ functionality into the MYOB Accountants Enterprise database. Every time you lodge a tax return it is populated into the iQ database. We’re seeing some really nice results. Firms can move into compliance advisory without having to lift up their entire tax process onto a new platform. Another thing we rolled out right at the beginning of this year which has taken off better than we initially thought is a cloud-based document management solution on Office 365, tightly integrated into iFirm as well. Digital First: Has it done well? Russell Evans: Can’t give you customer numbers, but I will tell you it’s going gangbusters. It has really exceeded our expectations. Digital First: Why do you think that is? Daniel Wyner: I don’t believe there has been a credible, fully functional cloud solution. MYOB document management solution had the full Sequel type functionality that depended on the way that you viewed it, it’s got folder structure and so forth. That functionality has not been available in the cloud until more recently. And there is the adoption of Office 365 by more and more firms. You have tight integration with email management and link all your emails to the relevant clients, with filtering and full mail merge functionality so that your engagement letters are automatically captured and sent out the right way. Digital First: Would you say you have reached feature parity with MYOB Accountants Enterprise or Reckon APS yet? If not now, when? Daniel Wyner: I don’t know that we’ll ever have feature parity because just replacing what is currently there on desktop is not the smart way of doing it. We want to look at what’s available and what the user needs and how we can facilitate a quicker outcome. Digital First: It is more use-case parity, isn’t it? Daniel Wyner: Yes, that’s right. Xero Tax will for the first time link to CCH iKnow, the online version of CCH’s Master Tax Guide. Every field in Xero Tax’s forms now includes a link directly to the relevant section in iKnow. As well as contextualised answers from the tax guide, iKnow includes practical tips and checklists. To access iKnow a user clicks on the question mark symbol next to each field in a form in Xero Tax. “iKnow maps every cell of a tax return to relevant content. A perfect example is a capital gains tax event. How do we treat that? Jump in (to iKnow) and get the answers,” says Matthew Prouse, Xero’s solutions manager for partner products. CCH released iKnow in Australia three and a half years ago. A New Zealand version launched six weeks ago. Only the Australian version is covered in the Xero Tax deal. CCH Australia has released three plans for Xero Tax users. A free tool provides up-to-date commentary on legislation, rulings, cases and the text from judgements. The Xero Lite plan ($32 per user per month) adds instructions in forms for Individual, Company, Trust, Partnerships and SMSF tax returns. It also includes commentary for tax and BAS Agents, an introduction to GST, PAYG, payroll and Tax Agents. The Xero Gold plan ($58 per user per month) increases the commentary to practical commentary on Tax Law, detailed content covering the set up, management and operation of SMSFs, and an annotated commentary of the ITAA 1936 and 1997 Acts. The top plan also includes the Tax Weekly newsletter, practice tools and worked examples. The marketing tool CCH iQ is not part of the arrangement. A feature within iFirm, iQ monitors new legislation and curates a list of clients in affected industries. The app includes email templates so an accountant can ask the curated list if they would like to discuss how the updated law will affect their business. This then generates consulting projects for the accountant. Xero Tax users can achieve a similar (though slower) result by creating Smart Lists by industry. When iKnow sends an alert about a change, the user can send an email to a Smart List through a connected email marketing program such as MailChimp or Insightly. “You can favourite content in iKnow. iKnow will notify a tax agent by email if that topic has been updated,” Prouse says. If legislation changed superannuation contributions, accountants can cross-reference it with the report builder in Xero Tax and pull up a report for all clients with item 12, he added. See Wolter Kluwer’s information page on CCH iKnow and Xero Tax for more information. Has the government changed its policy on live-animal exports to Indonesia? Has the ATO increased fuel tax credits? 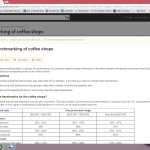 When will the ATO start benchmarking coffee shops? More than 300 “tax events” occur each year which could materially impact the amount of tax your clients pay. Wolters Kluwer-CCH Australia has released a predictive intelligence module for its cloud practice management suite, iFirm, which works out which clients will be affected by a single event. iFirm highlights the client, explains which event has occurred and the implicated tax field. An accountant can choose to make a note to adjust the client’s file, increasing the accuracy of the final assessment. Or the accountant could proactively call the client, explain the situation and propose a range of solutions, resulting in more consulting work. The quality of the intelligence relies on information gathered by CCH Australia’s publishing team. The team is best known for CCH’s Master Tax Guide and now works in other areas such as the iKnow content platform and Intelliconnect information search. On the software side, CCH has integrated ATO benchmarks into its iFirm platform which includes the iFirm Tax Online module. In the example of a change to fuel tax credits, iFirm creates a list of all clients that have claimed a fuel tax credit on their business activity statements (BASes). 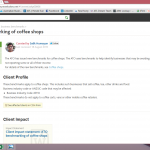 Likewise, ATO’s decision to benchmark coffee shops would create a list of clients in the hospitality industry. The software can create a news-driven search on any field in a BAS or tax return and flag clients that have entered data in that field. iFirm then creates a job against that list with suggested actions for the accountant to follow up. A summary appears on iFirm’s dashboard showing the number of clients affected, and the level of impact (low to high) for the firm globally and for the individual client. The idea behind the module is to increase job flow, says Pete Sanders, managing director of CCH’s accounting professionals division. “The job might be a simple review. This module could generate new revenue for clients throughout the year,” Sanders says. “We’re trying to give them the tools to have the right conversations,” Sanders says. The iQ module is in beta this quarter and will launch to the public in Q1. The CCH iQ module was previewed this week at the independent accounting technology conference ATSA 2015 in Sydney. You can watch the session Growing Your Firm with Predictive Intelligence through ATSA’s pay-per-view video service. Did you know that 69 percent of accounting firms are already using online accounting software – even though it makes up just 8 percent of the Australian market? Or that, despite the lack of fast internet connections, regional accounting firms are using online accounting almost as much as their city counterparts? In fact, the biggest determinant in the takeup of online accounting software among accountants is whether they are a baby boomer or a millennial, says research analysts CapioIT. Three quarters of accountants under the age of 50 use online accounting software compared to 45 percent of those over 50. CCH Australia released a survey of 300 accounting firms and 200 SME businesses on online accounting software a short while ago. I have been waiting for a rainy day to sit down and write up the best bits of the report from the media launch. And today it’s raining (in Sydney, Australia, that is). First, let’s take a look at how accountants are feeling about online software these days. That last statistic about age is the most powerful for me. I can imagine the personal stories within accounting firms as partners struggle to understand the new reality brought about by online accounting. “There’s a generational shift that I hadn’t seen in cloud until I did this research. It’s really huge and reinforces to me how you sell cloud to a 60 year old trying to embrace technology compared to a 25 year old CPA is very different,” Phil Hassey, CEO of CapioIT, says. Accountants are saying, “Don’t sell us the cloud, tell us why to use it,” Hassey says. The problem for many partners is that they are readying themselves for retirement at a time when their practices are needing investment and re-tooling. This year’s the Good, the Bad and the Ugly report (also by CCH) found that over a third of New Zealand Institute of Chartered Accountants members are aged over 50 and nearly 30 percent of New Zealand firms identifying themselves as “in decline” had no succession plan. “The vast majority of accountants in Australia are over 40. If they don’t get on board the impact is going to be quite phenomenal,” Daniel Weiner, CCH’s head of strategy, mergers and acquisitions, says. Saasu’s Marc Lehmann has spoken about the difficulties of valuing practices which haven’t adopted the efficiencies of online accounting. While the number of clients will hopefully remain the same, the number of billable hours will decrease thanks to bank feeds and automated invoice and receipts processing. Accountants who want to retire might find themselves having to hand over more power to younger staff who can update internal processes, add services or change billing models to avoid a drop in revenue. “If you’re in a small firm and the bulk of what you do is tax returns, then your work is going to shift and some of your people will have to find something else to do,” Russell Evans, CCH Australia’s CEO, says. While older accountants are less likely to use cloud accounting, it isn’t necessarily because they don’t believe in it. When I first started Digital First (then BoxFreeIT) in 2011 the only players in Australia were Xero and Saasu. The majority of accountants I met were heavily sceptical of typing financial information into a browser. How that has changed. Only 10 percent of firms surveyed saw cloud as a negative. Another powerful signal; 96 percent of accounting firms using cloud computing were quite likely or very likely to increase their expenditure. “This is a massive validation of cloud, and highlights that the benefits of cloud computing for the accounting profession are significant,” Hassey says. This was also astonishing. After all the talk about accountants as guardians of their clients’ affairs, only 17 percent were concerned about security. Online software has clearly crossed over the credibility chasm as a legitimate location to store accounting data. In fact, the issue of location (remember data sovereignty?) was even less (11 percent) of an issue. Security was still the biggest concern but only marginally more than client concern about using online software and the likelihood of downtime (both at 15 percent). In fact, a whopping 55 percent of accountants thought the cloud was more secure than their office for storing accounting data. About half the 300 businesses interviewed for the survey agreed. Another point to note is that the cost of online accounting software was not a factor (under 10 percent) – for accounting firms or for SMEs. CapioIT found a much higher penetration (27 percent) of cloud accounting among SMEs than Intuit and Xero’s reported figures of 8 percent. The most fascinating stats here were the reasons for moving to the cloud. Sitting at number one (with 44 percent), the key driver for cloud investment was better security! “It’s more safe than Excel and it’s more safe than emailing my data file to my business partner,” Hassey says. The second reason was for functionality (43 percent). This could indicate that the types of features accounting software companies are adding to online programs (bank feeds, automated receipts processing, document storage, better data integration with other programs) are more important to more businesses than the strengths in desktop accounting software (complex inventory, quoting, etc.). A big part of the discussion at the launch was the shift in the transactional work of the accountant. “Retrospectively looking at data, that mode of working is going to change,” Evans says. Accounting firms either have to increase the number of clients for compliance or move into advisory and other value-added work. But CCH maintains that the efficiencies in online accounting won’t force accountants out of compliance. “Some industry coaches have said compliance work is going to be commoditised. The research isn’t showing that. They know that they will get margin squeeze but they can run firms more efficiently and work in a model where there’s pricing pressure,” Evans says. Before the GFC the Big Four accounting firms said they didn’t want to to do compliance because there was no money in it. Now they are moving back in there, says Tony Katsigarakis, commercial director of corporate reporting solutions, CCH. How much money? Accounting fees grew 3.3 percent last year to $17 billion in Australia. Countering that, the Australian Taxation Office is on a mission to slash accounting fees – at a recent accounting conference a tax commissioner expects to wipe out half a billion dollars in fees. Good food for thought. The takeaway is that cloud accounting is quickly becoming the new reality, and that accountants need to reshape their business models around it. Retiring partners could find their firms worth less than expected as a generation of partners looked to retire before embracing cloud accounting practices. More than a third of New Zealand Institute of Chartered Accountants members were aged over 50 and nearly 30 percent of New Zealand firms identifying themselves as “in decline” had no succession plan. “The biggest challenge these firms claim they face is finding the right person to take over their business,” CCH said in a press release. “The importance of cloud accounting to your firm’s future cannot be stressed enough. Keep in mind that while not all businesses are using the cloud yet, an increasing number of business are intending to make the switch in the future, and that number will only increase,” said Gary Adamson, CPA and president of Adamson Advisory. The survey canvassed over 250 practices ranging from one-person sole practitioners to multi-partner businesses with more than 60 staff located in city, suburban and regional areas in New Zealand. In an article, “Succession Planning: Both Sides Now,” CPA and president of Stowe Management Corporation Mark Fowler said succession planning would be challenging because it was about an individual gradually transitioning from being less involved into retirement with adequate funds, as well as having the right talent to step in for the business. “True succession planning is about developing a business that has the ability to continue to grow and thrive despite ups and downs, and developing team members whose lives are supported in facilitating that process,” said Fowler.